Link to the site for students to obtain discounted software. Students may download Microsoft Office for Free. Please follow one of these links to do so for Windows or Macintosh computers. 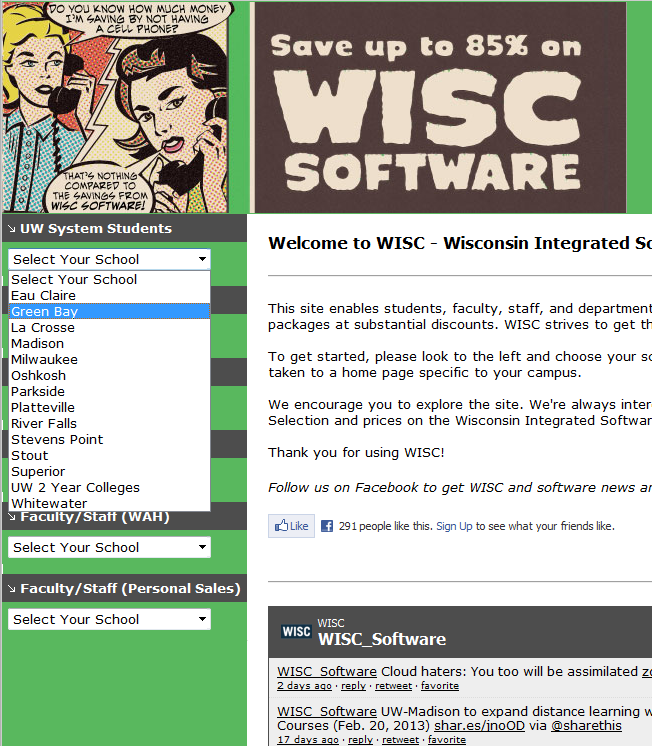 Click the link above, and select your school under the drop down menu on the left under "UW System Students".